Get an illustrated invitation on how to know God personally. 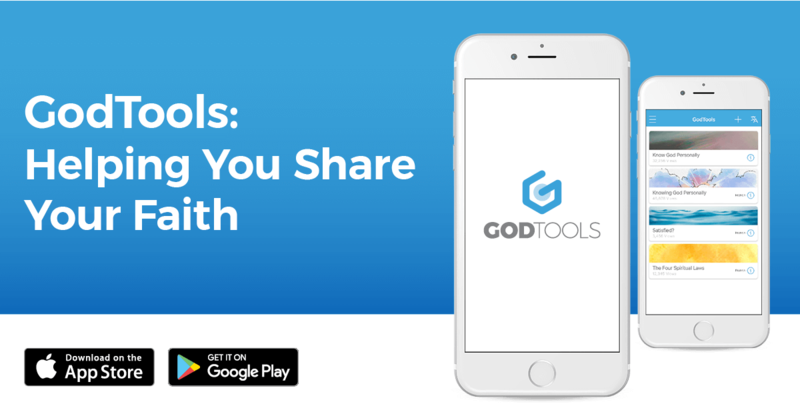 Get four principles on how to enter into a personal relationship with God. Get a simple explanation of God's invitation to those who don't yet know Him. Get a helpful guide on how to know and experience the Holy Spirit in your Christian life. Get the Gospel message from an honor - shame perspective. 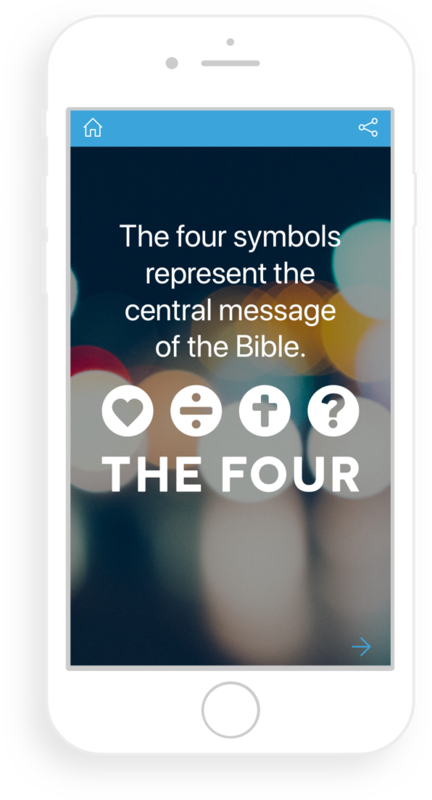 Learn the central message of the Bible explained through four symbols. Choose one based on your preference and the person with whom who are sharing. You can add or remove tools so that your favorite ones are on your homescreen. Each presentation is available in 60+ languages and has been translated by local native speakers. With the toggle button you can easily switch between your heart language and theirs.